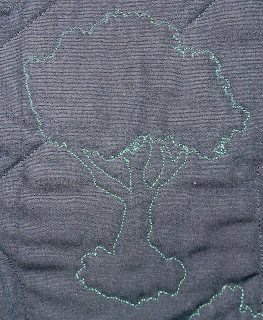 I guess it isn't exactly lounging if I finish a kid's quilt - complete with quilting. I even took the time to quilt around the designs on the middle piece. 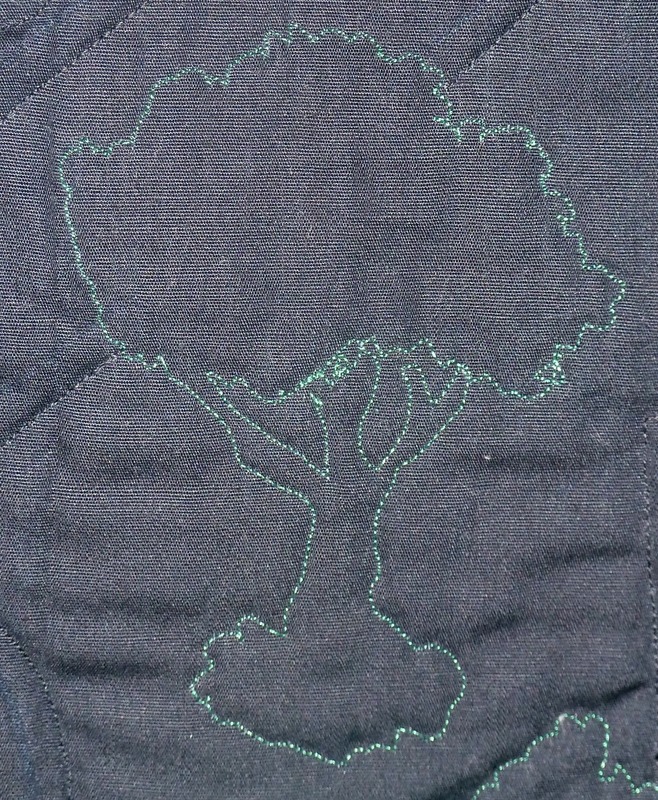 Just look how one of the trees came out - proof that my quilting is slowing improving. 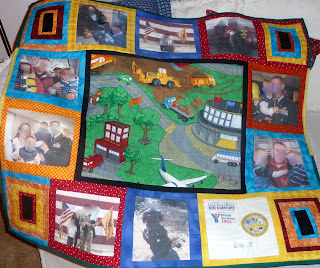 This is another one of those Alaska Operation Kid Comfort ones.